The Blum & Poe gallery in Los Angeles opened two exhibitions Friday featuring Japanese artists. A collection of Japanese ceramics will showcase the work of Kazunori Hamana, Yuji Ueda, and Otani Workshop, and is organized and curated by Takashi Murakami. The exhibition runs through Oct. 24. 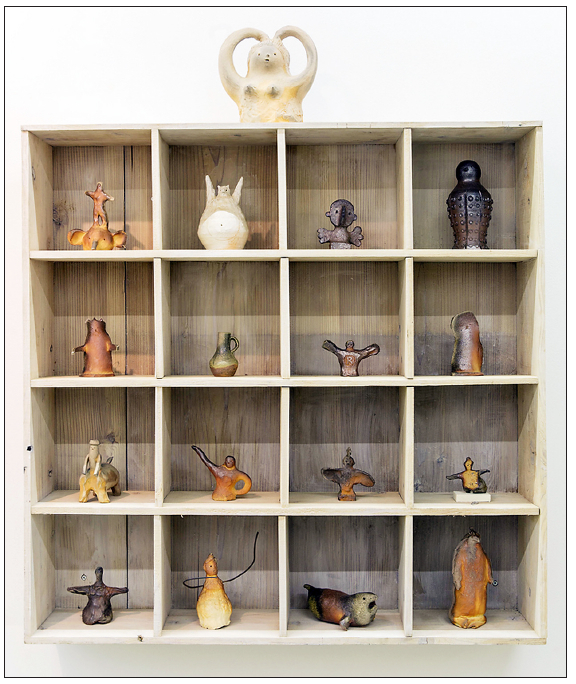 For this exhibition, Murakami brings together a new generation of Japanese ceramicists whose unique pottery methods merge a respect for lineage with improvisation, experimentation, and refinement. The work of all three artists — Hamana, Ueda, and Otani — is informed by lifestyle, the love of nature, working in remote surroundings, and sometimes farming their own land. Although these artists are young in age, they are accomplished craftsmen and have been forming, firing, and exhibiting their earthenware in Japan for several years. Many of the works in the exhibition have never been seen before in the United States, as this display of ceramics is an illumination of age-old traditions being expanded into the 21st century. Also opening Friday is the solo debut in the United States of Kazumi Nakamura. This is the artist’s first exhibition with the Blum & Poe gallery. Nakamura is a Japanese contemporary artist who began his career in the early 1980s, and has since become one of the most active painters among his generation, creating various styles of paintings that explore the meaning of pictorial space. The Blum & Poe gallery Los Angeles is located at 2727 S. La Cienega Blvd. Call (310) 836-2062 for more information.